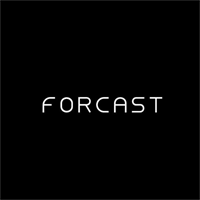 The Forcast label was unveiled in 2002, and they are a fashion-forward women's wear label, which has evolved into an iconic brand for many who seek sophistication and glamour. We specialise in after five glamour and desk to dinner wear. The Forcast woman is chic, style-minded at heart and effortlessly dresses for success to take her from desk to date and beyond. Forcast has an uncompromising commitment to delivering stylish, well-tailored original products featuring quality assurance, exceptional fit, affordable pricing, all at an incomparable value.